After 34 years with the Minnesota Twins, Scott O’Connell has decided to hang up his cleats and find his field of dreams. In honor of one of our best ALSD Presidents ever, we’re giving him the last word. Here is a little-known fact that only my office and a few others know. For the 30 years that I have operated the ALSD, I have had a ranking system of suite directors based on when I met them and who I liked the most. The system, which is unofficial and has absolutely no rhyme or reason to it, has several generations. There are the first generation suite directors, there are the second generation suite directors, there is a third generation group, and maybe an emerging fourth generation. From the Boomers to Gen X to the Millennials to Gen Z, I have created this ranking system. Full-disclosure here: The first generation is my favorite of all my rankings because they were the ones I grew up, the ones I know best. There is Paula Mikola, our first President of the ALSD who hijacked a bus in Miami and took the group out for the longest after-hours South Beach party in the history of the world (I heard they got back last Tuesday). And then there are all those first generation suite directors who literally helped me set up the conference because we were too small to have interns do the labor. They took pity on this boyish, albeit aging executive director, and helped us grow the group. One-by-one. They’re incredibly loyal and supportive. I’m not sure if there has ever been someone as supportive as Scott O’Connell though. Besides being a great Board President, he has been as loyal a supporter of the ALSD as anyone in our land of misfit toys – 1,200 strong now. Now that he has announced his retirement from the place where he has spent almost his entire life, I realize just how much I’ll miss him. Suite directors, when Scott began, were not suite directors. There was no such thing. He predates the development of the business. But when there was an opportunity that came along in this new exciting sports business, Scott fell into the job and has never left. In the age of an experience economy, Scott must be a wealthy man, having enjoyed a couple of World Series, overseeing the opening of the beautiful Target Field, and never having to leave the city where he grew up. Old school all the way. He passed up opportunities in order to raise his family in one place and see his kids get married. He now waits on the grandparent deal, coming most likely any day. I’m not sure if Scott said that line first, but he said it most. We all rely on our habits and our daily routine. But Scott, after 34 years in one place, is breaking the routine. He’s soon moving to wine country sometime in the near future to live the dream… The sun rises in the east. Scott opens his first bottle of Merlot. He’s starting his morning out right. He’s still got the rest of the day to live up to. We wish him well in whatever endeavor he chooses to follow next. You have been doing this about as long as the premium business has been in existence, since before the premium business began maybe. Tell us about how you broke into the business, got started, and how you got where you are today? Life took a major turn for me in October of 1984 when the Minnesota Twins posted an ad in the newspaper looking to establish a telemarketing program to sell season tickets in conjunction with the 1985 MLB All-Star Game. I was one of ten people hired to work in a room with only a set of White Pages and Yellow Pages as leads. I ended up finishing fourth out of what ended up being 24 salespeople. I spent the summer roaming through the southern half of the state selling groups to bars, banks, and churches. In the fall, the Twins asked me to run the same telemarketing operation I had worked in the year prior. And in April, they brought me on board as one of three full-time salespeople. A couple of World Championships and along an eight-year losing skein later, I was promoted to Season Ticket Manager and shortly thereafter Director of Sales. 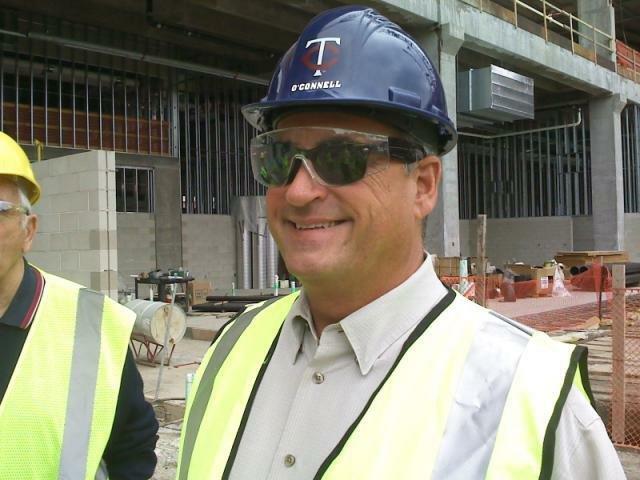 In 2007, the Twins finally got the green light to build Target Field in downtown Minneapolis. I was asked to spearhead the sales at the new ballpark and was given the title of Director of New Ballpark Development. My office was on the 46th floor of City Center with a spectacular view of the new ballpark site. In these offices, we built a replication of a suite and displayed a $250,000 model of the park. The sales process started with me hand-delivering an actual ballpark chair mounted on a metal plate to the top 150 targeted businesses. The chair featured a hang tag that said, “The First Pitch”. 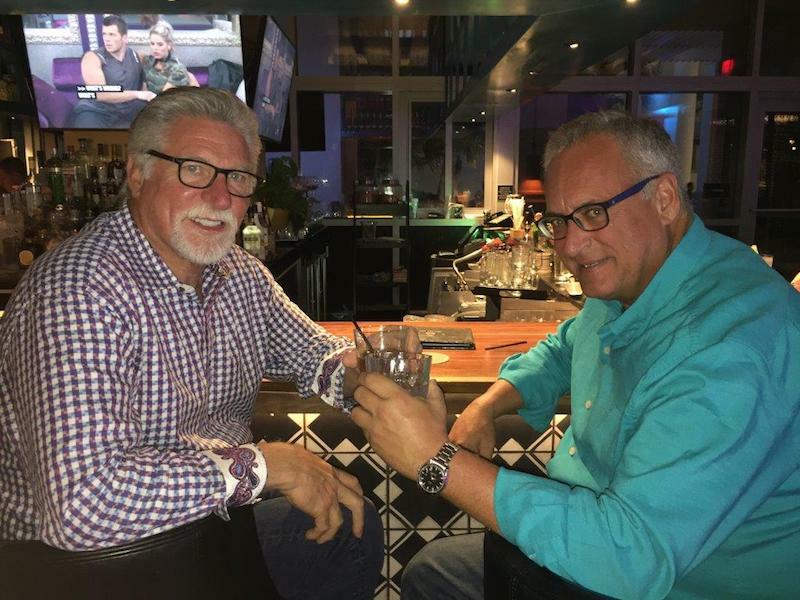 We would set up appointments to visit our marketing center and on many occasions, I would have Jack Morris, Rod Carew, or the late Harmon Killebrew as my wingman. The presentation would conclude with them looking down on the site in amazement and picking out their new suite. From there, I branched out into premium seating presentations to existing season ticket holders based on tenure and spend. In all, we opened the inaugural 2010 season with all 61 suites, 423 Champions Club season tickets, and 2,997 Delta Legends Club seats sold. All that was done out of the marketing center on the 46th floor. The world continues to change, and advancements continue to be made on a daily basis. Some are for the better, and some are not. I tend to be a bit old-fashioned in my thinking. Somewhere some ad agency genius determined that every business in America should concentrate all their advertising efforts on Millennials. Where that is a great idea for craft beer and cell phones, it does not make sense for sports. They are a generation of people whose inclinations are to live life one day at a time and to experience new locations and new life experiences. They are not the type of generation that buys expensive inventory for more than one game at a time. Single-game sales are suffering because that is our targeted fan. We need the families to come back out and to more than one or two games a year. They have always been the foundation of our walk-up sales and need to be courted again by MLB. Is it more difficult to sell suites in a sport that has 81 home games? More and more, we are needing to match-up companies to maximize the full season of games. It is important that they are compatible, and we encourage suite holders to find a partner or provide us with companies they do business with in order to market them on a split season. Analytics are a big part of the game. Do they really help in premium sales? Analytics help in identifying targeted markets and organizations. We have database companies, LinkedIn, and a number of great resources to give us an insight before we ever dial a phone. Far cry from the phone book days I started with. But I’m just not sure how “launch angle” will help sell all-inclusive areas. What size staff do you have? Is it the right size? After years of selling all the premium inventory myself, I finally got some help. We elevated two strong season ticket salespeople (Todd Krulewich and Dan Strong) into the role of Senior Suite and Premium Sales Executive. They are two great guys who are hungry and driven to succeed. It’s been a challenge to answer all their questions and help them sell a higher product line than they have in the past, but I feel very confident that as I depart, the team has two strong salespeople to help fill the void. Do you believe the premium seat marketplace is changing? If so, how. Our industry continues to evolve and reinvent itself. That is the reason we have 1,200-plus attendees at the ALSD Conference each year. As an industry, we need to know what works and what doesn’t. The conference provides the opportunity to share ideas and stories. The future is still very bright for our industry, but only because we listen to the needs of our clients and meet their needs. Is it easier or harder to sell premium seats today? A regular seat buyer is concerned about location and price. A premium buyer has a lot more on their mind. The key to premium sales is to let them tell you what matters and meet those needs. Younger sales reps spend way too much time talking and not listening. It’s very easy for the customer to tune out a sales rep if they start to ramble on about the bells and the whistles. Do you believe the game has too much reliance on media sales and not enough on ticket sales? Ticket sales will always be the major revenue producer for teams. I have yet to see an empty seat buy a hot dog or a beer. The more your tickets are in-demand, the more everything else elevates in value. It’s all about winning and the product on the field. Has baseball outpriced itself for the common fan? I don’t think so. There are so many great ticket options made available by most teams that the game is still affordable to attend, but you do get what you pay for. There is now a huge separation monetarily from the lower priced seats to the higher priced ones. It’s no longer just about sightlines. It is more about amenities and comfort. A family of four can still take advantage of a family pack option with food and beverage included. What would you tell a young person entering the business today? How do they get inside? And once inside, what do they need to do to stay inside? With the size of sales departments these days, it’s a lot easier to get your foot in the door. But it’s up to your efforts and work ethic whether it becomes a career or not. You have to look at your season like you are in a retail position, and your store is only open 20, 43, or 81 times a year. This is where you need to be. Your customers come to the building, and they expect to see you. And they look to you to meet their needs and fix any issues that might occur. You can’t do that sitting at home. Sales is all about relationships. The deeper the relationship, the stronger the bond between you and your customers. We are in an industry where we have zero control over our product. However, we do have plenty of control over how our customers are able to enjoy the product. From the moment they enter the park to the minute they leave, they are in our hands, and it’s up to us to make sure we have the right people interacting with them, so they feel special. It’s big things, but it’s also the little things. If I know it’s a suite holder’s birthday, and he is going to be here, it’s an easy thing to put a name on the scoreboard and hope they see it. It is a lot more impressive to have the valet people wish him a happy birthday, have the ticket takers wish him happy birthday as he walks in the door, have the elevator operator wish him a happy birthday, and every other person he sees after that do the same. You will blow your VIP away, and when it comes time to renew the suite, he will not want to lose track of the fact that he is treated with honor and respect when he comes to a game. Do you believe technology is changing the sales game? Technology is great on so many levels. However, we seem to be asking a lot of our fan base to keep up on our technological advancements. We continue to put programs into place and think that our customers have the training and support they need to make it work. Instead of having a sales staff spend time generating revenue, we seem to spend all of our time answering questions about why some program doesn’t work. Technology should support our efforts to sell tickets instead of bog it down. What are your best memories of the game itself? The obvious answer is winning both the 1987 and 1991 World Series Championships in our own park. Two banner days for our franchise and the State of Minnesota. Up to that point, there wasn’t much hardware in the Twin Cities. The Lakers took their trophies with them to Los Angeles. On a personal note, it has to be the opening of Target Field in 2010. The feeling of accomplishment was overwhelming, and after many years in one of the worst parks in the game, it was gratifying to open this beautiful ballpark. Anybody who has opened a new facility knows what I am talking about. This is a little self-serving, but has the ALSD served the industry well? I have always been quick to give ALSD credit for the success I had with the selling of premium inventory at Target Field. While the Hubert H. Humphrey Metrodome had a lot of great memories, it was a very lackluster facility. There were no premium seats, and the Vikings controlled all but two of the suites. Before the first shovel went in the ground, I had already attended three ALSD Conferences, made a number of contacts, and attended a number of sessions. People like Tom Sheridan of the White Sox and Chris Gargani of the Nationals proved invaluable resources for me as I launched our new ballpark sales efforts. The Twins had the benefit of having a number of teams and cities build facilities before us. ALSD gave me the opportunity to have all this knowledge in one location and to be able to tap into the resources of a number of experts. I was honored to become a board member and certainly enjoyed my three years as President of the ALSD Board. As an insider, it was an education to see what kind of effort it takes to make ALSD the successful event it is year-after-year. Bill Dorsey has to be the greatest big-picture person I have ever met. And Amanda’s organizational skills are amazing. Each year’s conference has so many challenges, but as an attendee it seems flawless. Other than the Twins, what is your favorite team? Your favorite stadium? Your favorite sport? This is an easy one. I was ten years old when I watched the Ice Bowl game at my grandfather’s home in Denver. Being 100% Italian, he was a fan of legendary head coach Vince Lombardi and was cheering for the Packers. I guess I can say that when Bart Starr dove into the end zone, that was the moment I became a Green Bay Packer fan. 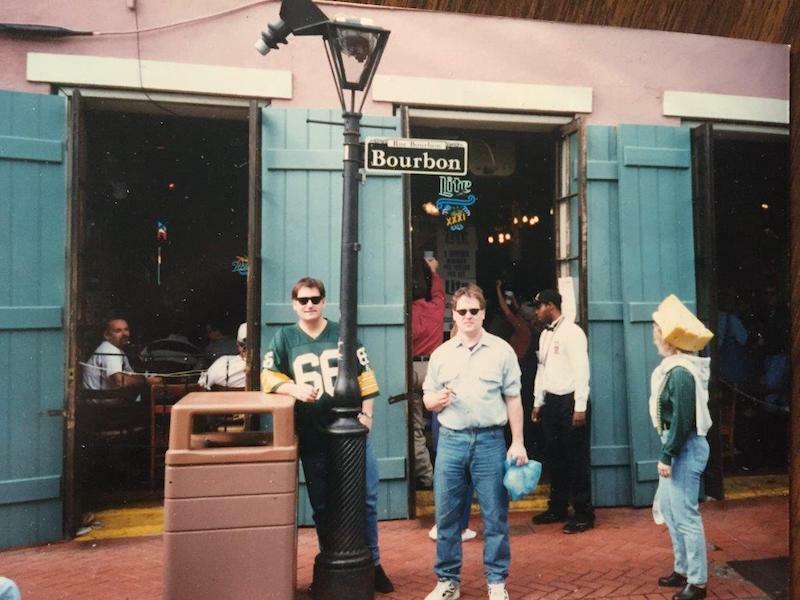 I have made a number of trips to Lambeau Field, and in 1996, a buddy of mine and I drove from Minnesota to New Orleans to watch the Packers win the Super Bowl. Should I have capitalized win? Is staying put in one place an advantage? Would you recommend it? I guess the answer to this question has more to do with where that location is. I was fortunate to go to work for the team I grew up watching in the city where I was raised. I think everybody in sports strives to work for the team they supported growing up. Spending 30-plus years working in one location gives a person great historical knowledge of the marketplace and a reputation as the go-to person for numerous businesses and corporations. I don’t have that going to another city. Needless to say, everybody has priorities, and if climbing the corporate ladder is what you want, the best way to accomplish that is to move within the industry. I had a number of opportunities to leave the Twins but never really came close. The Pohlad family have been wonderful people to work for, and I have been fortunate to work with some very talented people, who I have built great friendships with. When I shared the news that I was retiring with my coworkers, I actually had five of them cry. That took me by surprise. Come to think of it, they might have been tears of joy. Tell us about your background and what you wanted to do when you were growing up? A child of the 60’s, I grew up in South St. Paul, Minnesota and was able to survive my childhood without a bike helmet, a cell phone, and even drinking from a garden hose. I grew up next door to a three-diamond ball field, and we spent all day playing there. At night, we would return to watch the adults play. I guess that is where I had the chance to develop my love for the game of baseball. I was not fooled by my athletic skills to think I had a future playing the game. But what I really wanted to do was be a baseball announcer. I attended Brown Institute in Minneapolis and received a broadcasting degree. After a year in River Falls, Wisconsin, I got a position working at a station in Waseca, Minnesota. In both cases, it was a chance to broadcast high school football and basketball, but not baseball. I’m sure the world didn’t miss out on the next Ernie Harwell, but it would have been a dream job to broadcast MLB baseball games. A year after marrying my high school sweetheart, we returned to our hometown, taking a role of Director of Livestock Broadcasting at the World’s Largest Livestock Market in South St. Paul. My daily reports were heard on 43 radio stations, offering the latest pricing. Not exactly the direction I wanted to go, but it did double my income and gave us a chance to buy a house, start a family, and be close to family and friends. How does your typical day go now, and how will it go when you hang it up? The day after returning from Atlanta and this year’s ALSD Conference, I informed the Twins it was my last season, and I would be retiring at the end of December. The countdown is on, and unless we make the playoffs, my last game will be on September 30th. My goal on the way out is to make sure the team and my customers are left in great shape. It is important to me to know I don’t leave any loose ends. Call it my legacy if you might. For 34 seasons, I got to drive to a ballpark every day for a job. How can it get any better than that?